Build It International is a charity that creates opportunities for young people and communities in Zambia through skills training, work experience and essential community building projects. Wanting to increase the reach and impact of their brand, whilst creating greater engagement with their website, Build It turned to The Web Orchard for assistance. As a charitable organisation the primary objective of a new website was to effectively attract and engage with new and existing supporters. 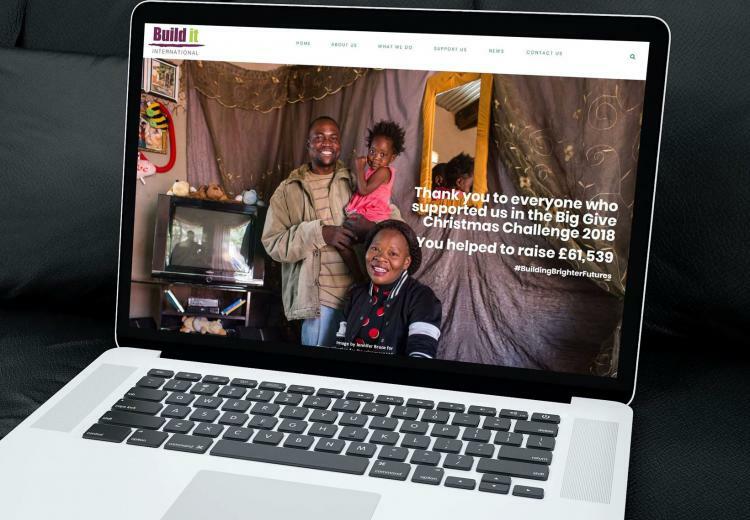 Enabling clear, intuitive navigation, it was vital that their website would enable people to quickly find the information that they were looking for, whilst also highlighting the other activities of the charity. “We might be a small charity, but we are professional, effective and efficient and wanted a website that reflects this. The Web Orchard have produced a new website that perfectly reflects our new brand guidelines. The clean and simple design enables easier navigation which works extremely well on a range of different mobile devices.